Encourage and adopt fire-resistant building design, materials and landscaping. Direct new development and redevelopment toward existing urban areas in order to avoid developing more homes and businesses in outlying, fire-prone areas. Encourage coordinated and centralized regional firefighting information that stays up-to-date on wildfire risks worsened by climate change, with special attention to how and where fires start. Ensure that firefighting resources are commensurate with the elevated risk the region will face. 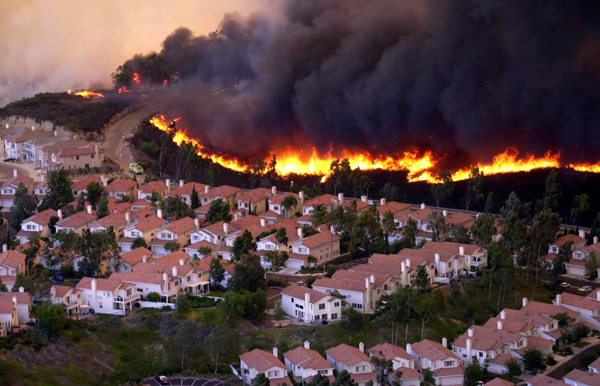 The term "wildfire" has become a misnomer. Large wildfires frequently threaten homes, businesses and lives, shifting the focus to structure defense. Simultaneously, a new paradigm is emerging: We are witnessing a dramatic shift in the frequency and intensity of wildfires due to a variety of factors, most of which are human-caused2. 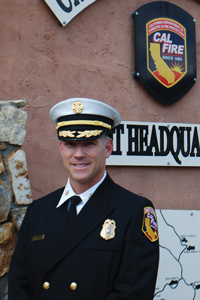 As our population grows, decisions on developing and managing the wildland-urban interface will determine our vulnerability and the risks imposed on our firefighters.